This is the MV Mi Amigo (unfortunately aground when this picture was taken), the home of Radio Caroline South, possibly the most famous offshore radio station as it was the only one to defy the British Government's Marine Etc. Broadcasting Offences Act and continued to broadcast after 14/8/67. 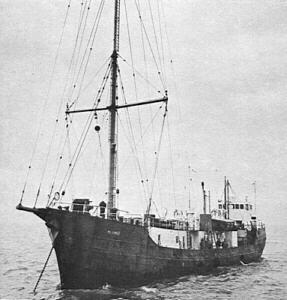 Radio Atlanta was the first station to broadcast from the ship anchored 3.5 miles off the Frinton, Essex coast in England. Test transmissions started on 9/5/64 and regular programmes began on 12/5/64 on a frequency of 201 metres, 1493 kHz, after the test frequency of 1520 kHz which was used when the neighbouring Radio Caroline went off the air at 18:00. 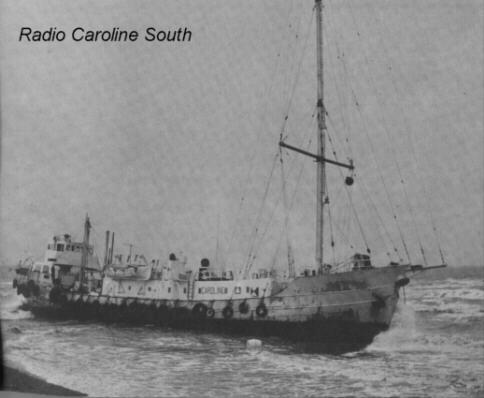 A merger between the two organisations was soon arranged and Radio Caroline sailed north to the Isle of Man to become Caroline North, while Atlanta became Caroline South. 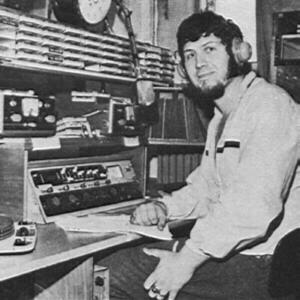 The station's music policy was Top 50 with lighter music being played during mornings and afternoons when the predominant audience was housewives. As well as featuring jazz, country & western and folk music, the station also gave air time to new artists and record companies. On the night of 19/20 March 1980, after some severe weather, breaking the anchor chain and running aground, the MV Mi Amigo sank with no casualties. It was not until 19/8/83 that Caroline returned from a much better ship, the MV Ross Revenge (See Caroline 558). Radio Mi Amigo was a Dutch music station which operated from the MV Mi Amigo from 1/1/74 until 31/8/74, although it didn't really start until 9/1/74 as the transmitter broke down due to generator problems after only 1 hour 10 minutes broadcasting. Programmes were in English and Dutch and reflected the current Dutch charts very strongly. The station made various appearances from the MV Mi Amigo again until October 1978 when it set up its own operation from the MV Magdalena on 272 metres, 1098 kHz, anchored off Ostend on the Belgian coast. 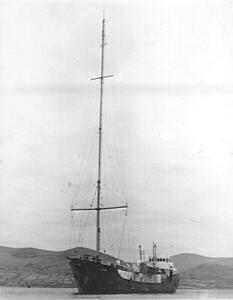 Radio Seagull was a name used for transmissions from the ship in July 1973 in English at night while the Flemish service Radio Atlantis was using the transmitter during daytime. Broadcasts from all of the stations are included in the museum. A Radio Atlanta letter heading. 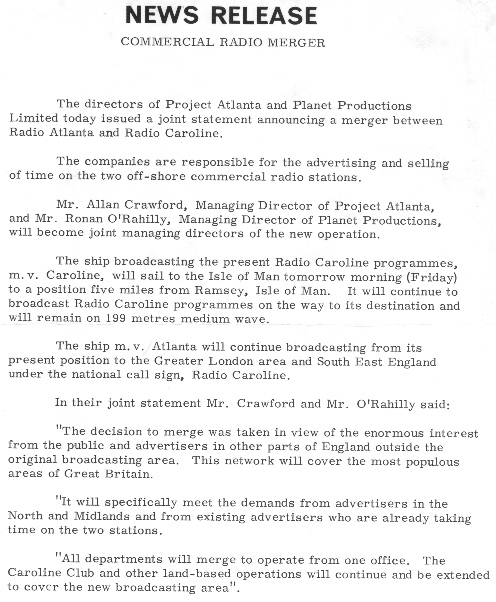 The announcement of the Atlanta/Caroline merger. MV Mi Amigo leaving Greenore, Eire, after fitting out. 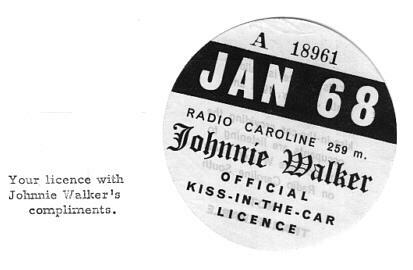 A Johnnie Walker Official Kiss-in-the-Car Licence. 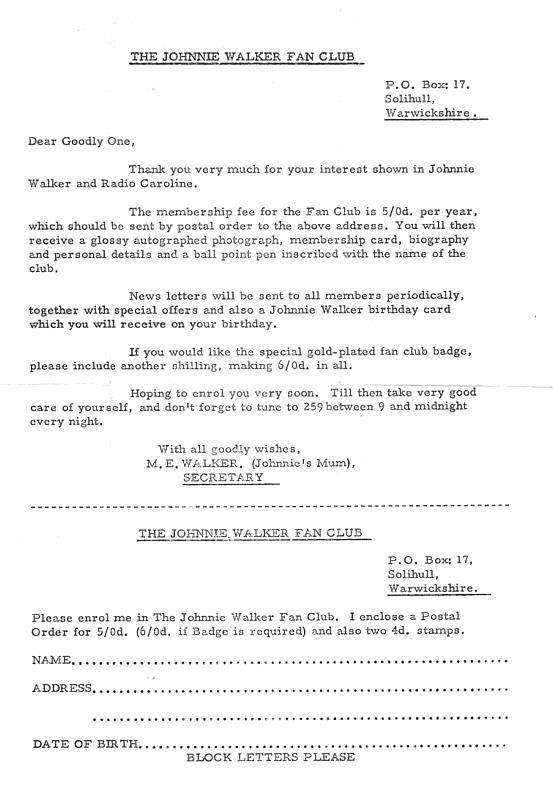 A Johnnie Walker Fan Club letter. Dave Lee Travis on air in the Caroline South studio. MV Mi Amigo anchored off the Essex coast.